Calling all December graduates! 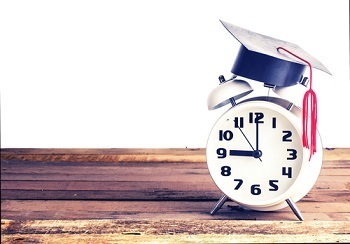 Regardless of whether you’re graduating early or late, you’re so close to reaching that coveted diploma and are (hopefully) eager to dive into the workforce. Graduation is still a few months away, but that doesn’t mean you should wait until November to begin applying to positions, educating yourself about the job market, or improving your skills. Here are some steps you can take to make your last semester of college the best one yet and truly set yourself up for success for the year 2019. Many young adults fear that graduating in December will leave them with fewer job opportunities than the traditional graduates, but don’t stress- you may actually be better off! An article from Way Up suggests that because companies receive their new budget at the beginning of each calendar year, they typically go on hiring sprees that last through the winter months. Because of this, you may not have to worry about getting lost in the shuffle of May graduates. However, regardless of the time of year you finish school, you need to make sure you are prepared to apply to the jobs you are interested in and have a resume built for those positions. Searching for a career while balancing coursework and extracurriculars can seem tough, but if you start early and plan your course of action, you will have a much easier time. Devote at least one hour per day to researching companies, editing your resume, and connecting with recruiters on LinkedIn to ensure that you are ready to start interviewing before you even graduate. Employers love to see initiative and the sooner you can get your resume to them, the better. When you establish a list of tasks to accomplish as well as deadlines for completing them, you will have a much easier time staying on the right track. Try setting goals for the number of job applications you submit each week, number of trips you make to the career center in a month, and the total amount of networking connections you establish through the semester. Each small step you make will ultimately add up by the time you walk across that stage. Be sure to visit your career center often to finalize your resume, practice your interviewing skills, and receive assistance for your job search overall. Additionally, your campus should be hosting a job fair in the future, but if not, you could search for events in the local area and connect with professionals there. If you haven’t attended a job fair in the past, check out one of our latest blogs that provides you with some tips for making a great first impression. You should share your resume on your college’s student portal, websites like Indeed and Ziprecruiter, and even your social media pages to show employers that you are ready to work. Not only that, but be sure that it is well-revised and updated to display your most recent job experience, achievements, and developed skills. By now, you should have connected with plenty of professors, faculty members, and previous employers who can serve as references and even connect you with job opportunities, but don’t stop there. Continue your efforts to connect with potential employers, professionals in your desired field, and alumni from your college to really expand your opportunities and set yourself up for success. Graduating in December? We are looking to hire money-motivated individuals for entry-level sales roles in all ten of our offices nationwide. Visit our career site to learn more about these opportunities and speak to a recruiter!